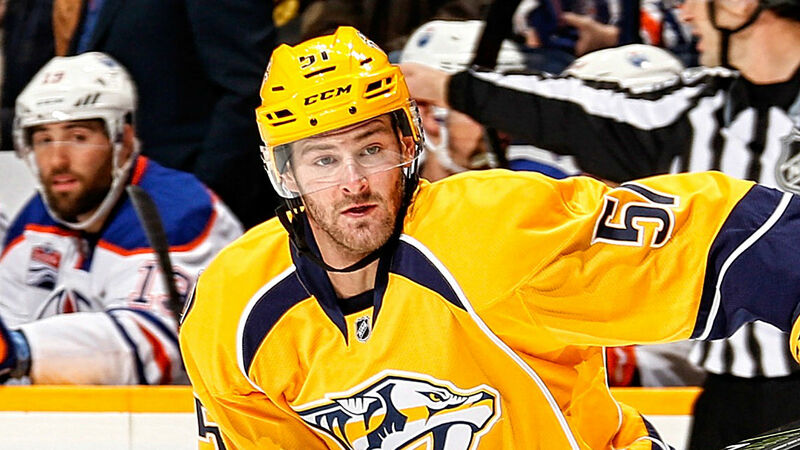 Predators forward Austin Watson appeared in a Nashville, Tenn., court Tuesday and pleaded no contest to a misdemeanor assault charge, USA Today reported. Watson is accused of assaulting his girlfriend at a Shell gas station in Nashville on June 16. She asked for the assault charge to be dismissed, but since there were witnesses to the incident, the prosecutors felt they could move forward with the case. Watson will be entered into a pretrial diverson program and placed on probation, plus have to complete 26 weeks of a batterer intervention course. If he violates his probation, he will face up to a year in jail. According to the arrest warrant, Watson and his girlfriend, with whom he shares a baby, got into an argument about her drinking too much. Watson admitted he shoved her and police noticed marks on her chest. Watson was arrested and charged with misdemeanor assault. If convicted, he faces nearly a year in jail, plus a fine up to $2,500. Watson was a first-round draft pick in 2010 and signed a three-year extension worth $3.3 million last summer. This past season, he posted 14 goals and 19 points in addition to eight points in the playoffs.